Pakistan Probe: Chuff! Chuff! Chuff! A shout out to all the friends out there ………. 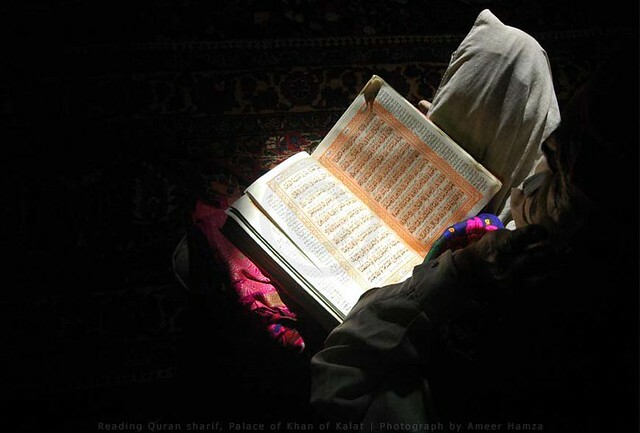 Most of us try to complete Quran-e-pak during the month of Ramazan ….. That is a beautiful thing to do may Allah (swt) bless you and he surely loves you for that …… but ….. we see people mostly just reciting the Arabic text and not going into the real meaning of the ayat …. We shouldn’t do that …. The real essence of completing Quran in Mah-e-Ramazan is in its understanding and not just mere reading …..
Its just like reading your favorite book for example you are reading “The Choice” by Nicholas Sparks (just hypothetically speaking :P ) and you are just reading the text without understanding its meaning, first of all if you read it like this it won’t become your favorite because you haven’t understood anything and you would probably won’t read it again :/ exactly ! … same is the case with Quran-e-Pak it is the world’s all-time best seller and yet majority of us don’t know what is written in it we are just content with reading/reciting the Arabic part without grasping the true meaning and that’s why we don’t have any knowledge of the Quran all we know is how many pages there are, how many surah there are and a handful of information that is passed down to us. There are 600 pages in Quran so if you read 4 pages with translation/meaning after every salah every day that would make 20 pages a day and 600 at the end of Ramazan …… there are a lot of translations out there, I personally take the translation of Abdullah Yusuf Ali as reference because it is widely quoted by many scholars to be the closest possible Eng depiction of the Arabic text but since it is not paraphrased it is difficult to understand for most people so then a friend of mine told me about the translation by Sheikh Muhammad Sarwar and that is really beautifully paraphrased. So you can take these two translations as reference or you can pick any established work of any renowned scholar that you prefer ….. there is no difference in the meaning its just the difference of word placing in most translations …. May Allah (swt) reward your efforts ….. Ameen!